Misty is one of the most popular jazz ballads and the distinctive melody is immediately recognisable amongst musicians. The tune is written in the key of Eb major and follows an A1 – A2 – B – A2 Form. The tonality is primarily major with some altered harmony sprinkled in here and there. 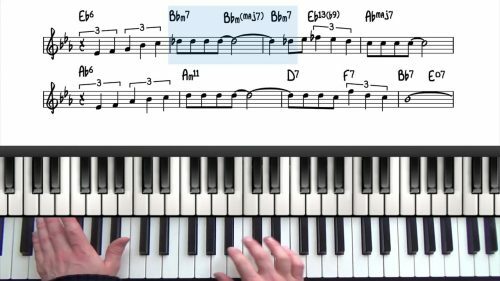 Before diving into the chords of Misty it’s a good idea to get a solid grasp of the melody. Find a strong vocal recording of the tune and study how the melody is phrased. 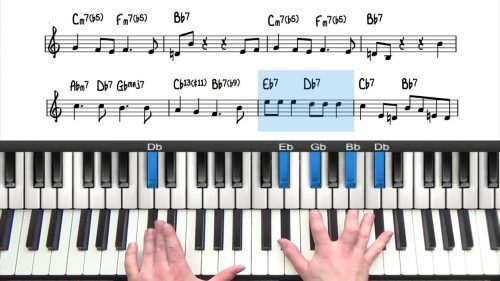 The melodic range of Misty is 2 octaves with the lowest note being the F below middle C and the highest note being F an octave above middle C. This is a wide spread for the melody of a jazz standard and so your right hand will be kept busy when playing this tune! 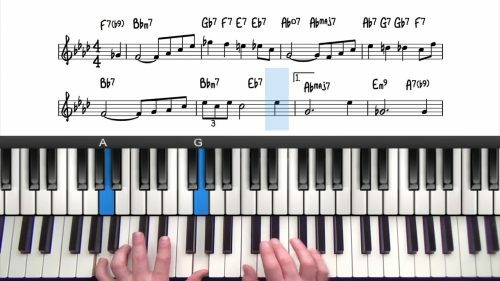 This tune can also be played with a left hand stride style, check out the practice exercises in this course for more information. Take a listen to Erroll Garner's version of this tune. This is the definitive recording of Misty. Check out this lesson where we explore the Sus13 chords to 13#11 tritone subs. of Misty.